There are many, many bird guides out there. Many of them are good, and some are excellent. Some are specialized to a region or a family of birds. Some are even devoted entirely to vagrant birds. All of them neglect to deal with a very pressing issue though. Sure, it's nice to identify birds by plumage and voice, by habitat and range. But sometimes the species identification isn't the most pressing need. Sometimes it is the bird's psyche that needs to be evaluated, and just as importantly, the birds mental condition. Is it stable? Is it an addict? Is it a threat to itself and others? 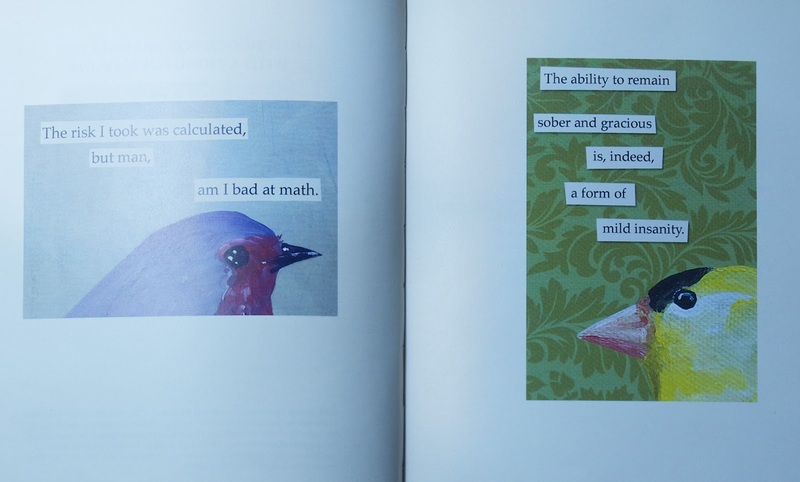 Luckily, avian artist and psychologist Matt Adrian, a.k.a. The Mincing Mockingbird, is set to release the first attempt at profiling some of these at-risk birds. This thin guide is packed with creative renditions and impersonations of many different species--all of the most psychologically unstable in the ABA area, and reading the anecdotes is just as enjoyable as ogling the illustrations. The Guide to Troubled Birds is set to release on June 12 from Penguin Publishing. 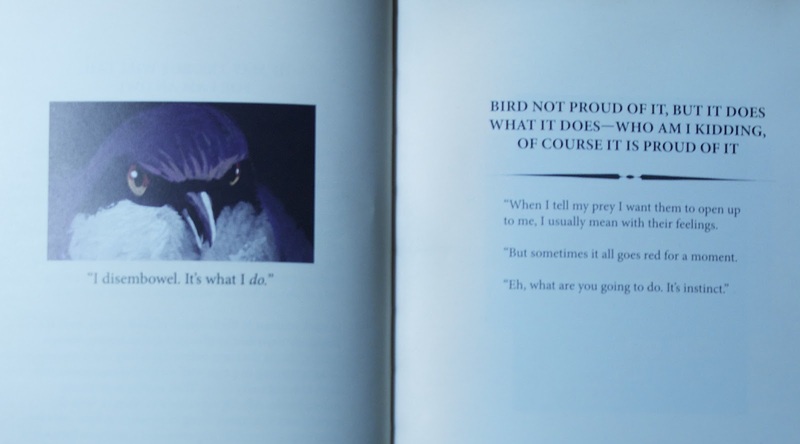 The Guide to Troubled Birds is a thing book, a quick and fun read, though one that's over too quickly. 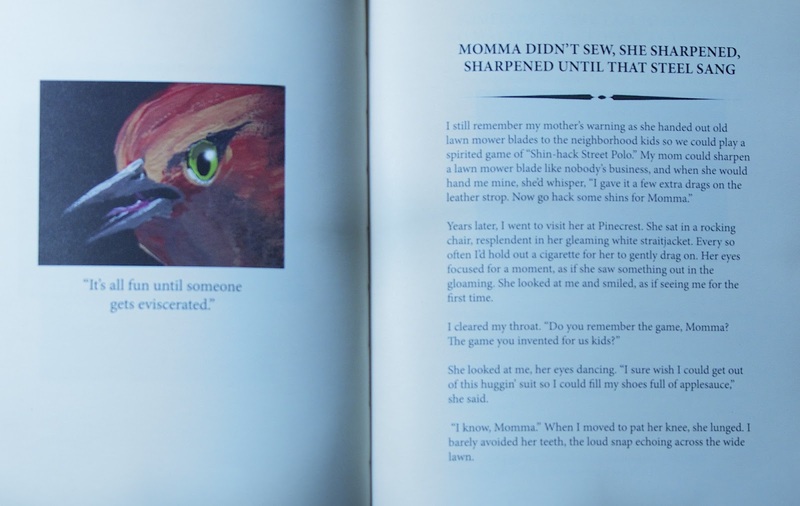 That's part of the trade off in a book that's heavy with inventive artwork. Sometimes brevity is the essence of wit. In fact, that's often the case. 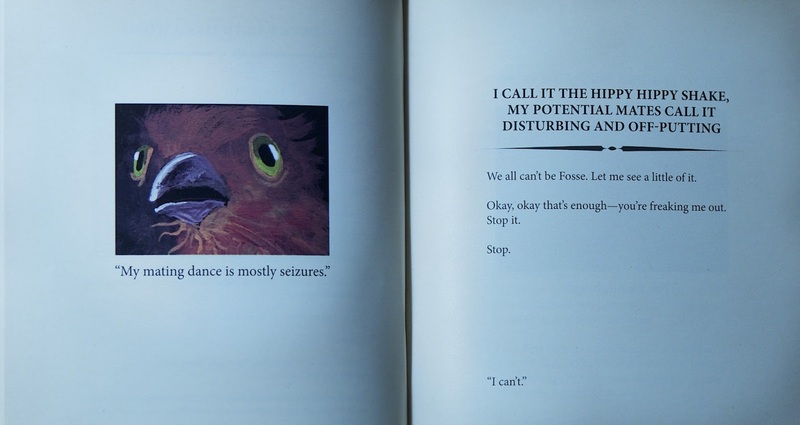 Some of the illustrations and captions are accompanied by anecdotes or excerpts that allude to specific bird behavior, while others seem to be random ramblings and journeys into realms of the insane. They're terribly enjoyable, especially if you have a preference for Far Side comics or books such as Pastoralia by George Saunders. Most birders have a penchant for reading. After all, we build up our skills, at least early on, by going face-deep in guide books and texts, and there are plenty of other popular supplementary books like Kingbird Highway and The Big Year. I flip pages pretty often, but it's unusual that a book actually makes me laugh out loud, like it's almost as rare as laughing out loud when watching stand-up comedy by oneself. 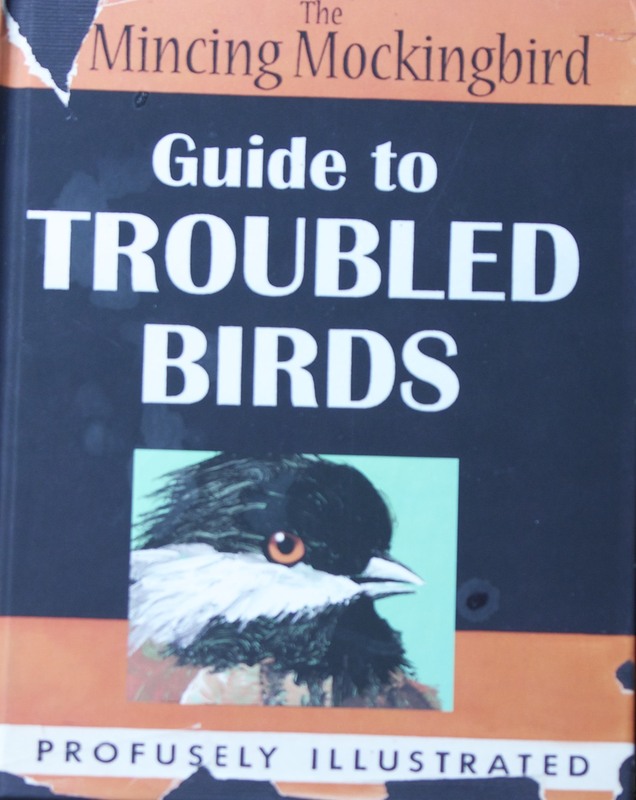 The Guide to Troubled Birds busted me up several times. Even though I found it to be too short (and that's easy for a non-author/illustrator such as myself to say), this little book made a strong impression and I'd recommend it as an enjoyable read, as something to put a little edge on your birding. Great review of what seems like a very fun read! Thanks for the recommendation!